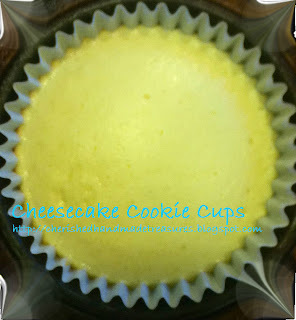 I found this YUMMY mini cheesecake cookie cup recipe on my FAV site--Pinterest! 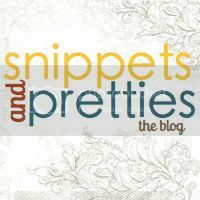 :) My hubby had been out of town for a couple of weeks, so a day or two before I expected him home I looked for a fun recipe to make on his arrival day. 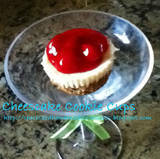 He loves cherries and who doesn't love cheesecake and cookies? 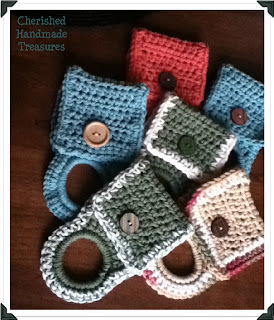 These little cups were so simple to whip up, I made them before I jetted off to work that morning. Then they were there when he got home from the airport and I didn't have to go to any trouble after a long day at work. 1. 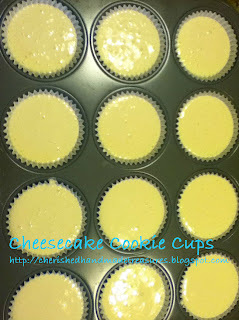 PREHEAT oven to 325° F. Paper-line 24 muffin cups. Place one piece of cookie dough in each muffin cup. 2. 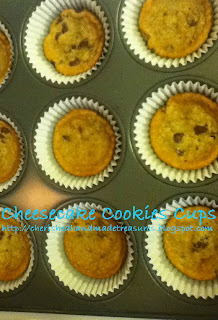 BAKE for 10 to 12 minutes or until cookie has spread to edge of cup. 3. 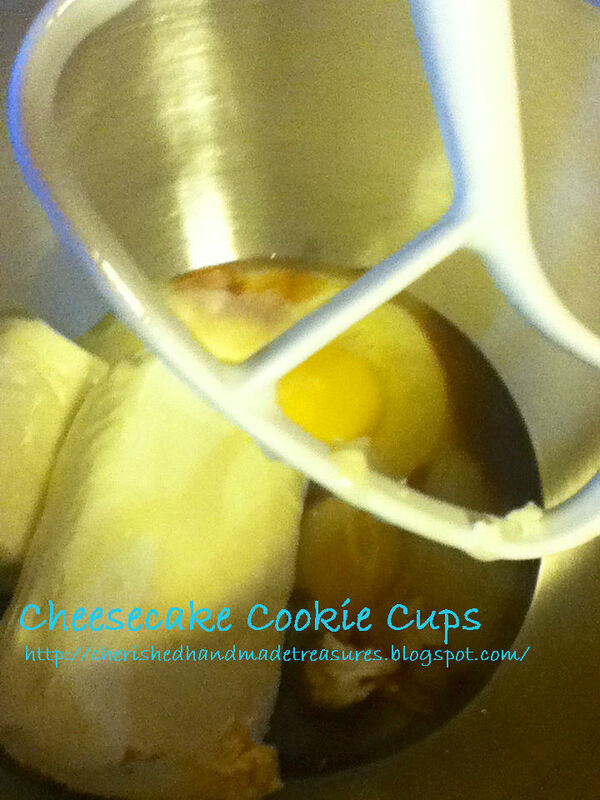 BEAT cream cheese, sweetened condensed milk, eggs and vanilla extract in medium bowl until smooth. 4. 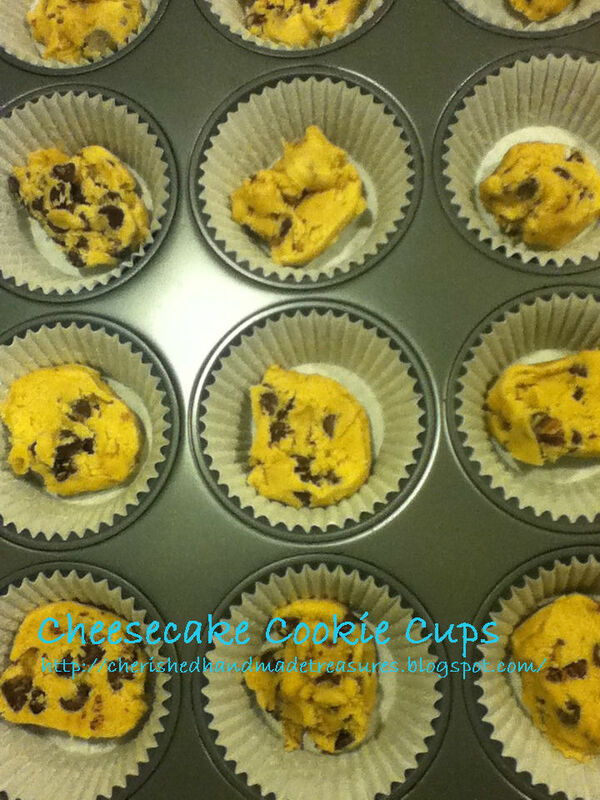 Pour about 3 tablespoons cream cheese mixture over each cookie in cup. 5. BAKE for additional 15 to 18 minutes or until set. Cool completely in pan on wire rack. 6. 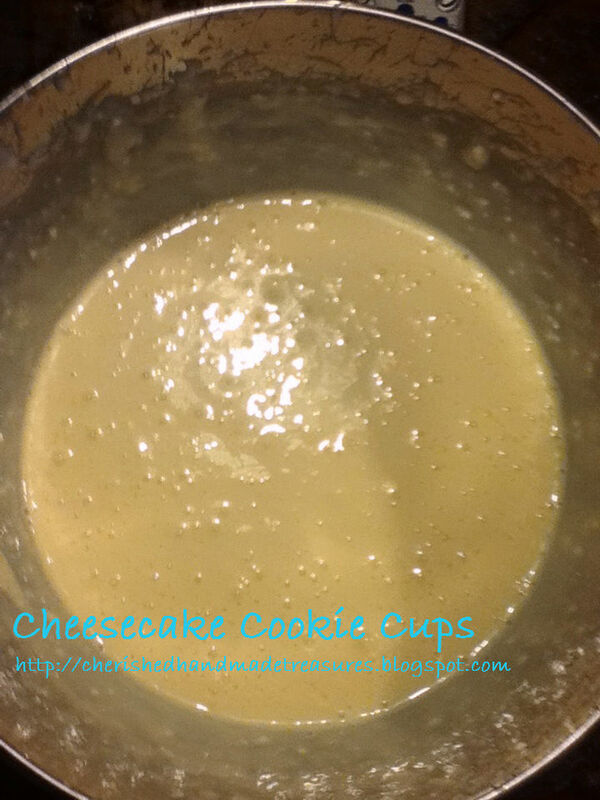 Top each with level tablespoon of pie filling. Refrigerate for 1 hour. oh yum!! and the cookie mix must make it extra yummy. than ks for this easy recipe! !